In July 2017, Kopernik partnered with the David & Lucile Packard Foundation to evaluate gaps in support that Indonesian emerging environmental leaders currently face. Kopernik designed a leadership program that would address the identified challenges. Over the course of the research, Kopernik conducted interviews with a range of respondents that included potential leadership program candidates, past leadership program participants, leadership program implementers, funders and potential host organizations. Climate change and environmental protection are key challenges of this century. Indonesia in particular, being one of the most biodiverse places in the world has much at stake both on land and in its waters. The current records show that Indonesia is a world’s leader in deforestation overtaking Brazil and a second-largest contributor to marine plastic pollution that also faces alarming signs of overfishing. Urgent environmental action is needed to protect the region’s critical biological diversity and natural-resources dependent livelihoods, and to mitigate the effects of climate change. 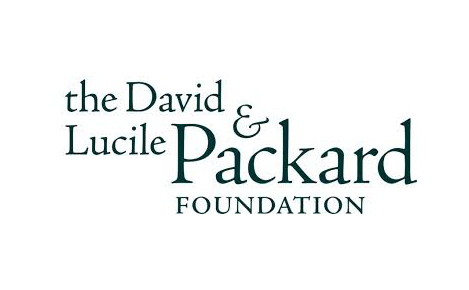 In an effort to address the above problem, the David & Lucile Packard Foundation engaged Kopernik to assess and design options for an Emerging Environmental Leaders Program that provides a range of support to emerging leaders working to achieve environmental and social sustainability in Indonesia. Over the course of the research Kopernik conducted 53 interviews with a range of respondents that included: potential leadership program candidates, past leadership program participants, leadership program implementers, funders and potential host organizations. The team reviewed several studies on the effectiveness of leadership training before developing a comprehensive design for a program that would provide the necessary skills as well as networking and mentoring opportunities to emerging environmental leaders in Indonesia. Receive financial support as committed leaders to advance promising projects and ideas. The leadership project was launched with a wider aim to strengthen the environmental and social sustainability sector in Indonesia, and to lead the development of a set of new organizations and institutions in country. The project seeks to encourage capable and effective leaders that are collaborating to advance important policy decisions and management practices in support of long-term environmental and social sustainability.